Sadly, empirical and “scientific” evidence pertaining to the horrific infrasound consequences wrought to humans via industrial wind farms will not sway the groupthink and brainwashed climate change obsessor. There are certain common themes that run the world over: neighbours forced to live with incessant wind turbine generated low-frequency noise and infrasound suffer; and the wind industry denies all responsibility, for anything, whether caused in this world or the next. However, plausible denial on the part of the wind industry is about to become an even scarcer commodity. 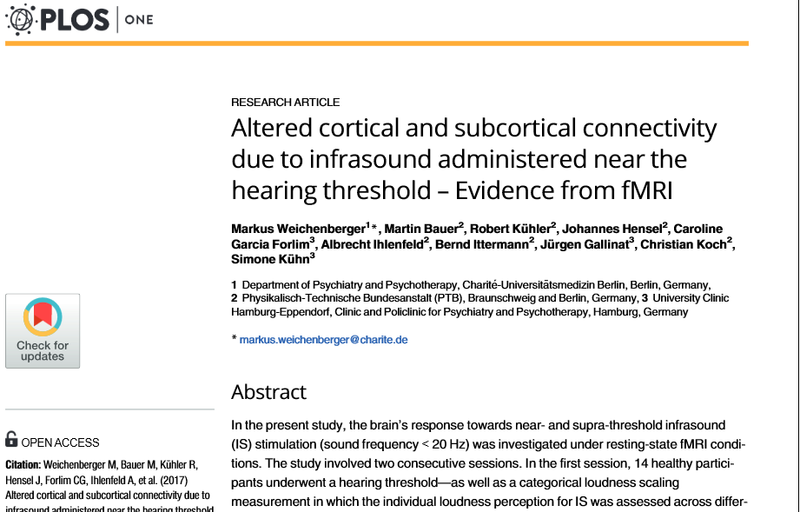 No doubt driven by the thousands of Germans suffering from exposure to wind turbine noise emissions, a top-flight team from the Max Planck Institute has been studying the effects of infrasound on human beings for some time now, although those being studied are willing guinea pigs, not like those unfortunates in rural communities where these things have been speared. Their latest paper was the result of sophisticated research of the kind that the wind industry has sought to prevent for more than 20 years. Yes. 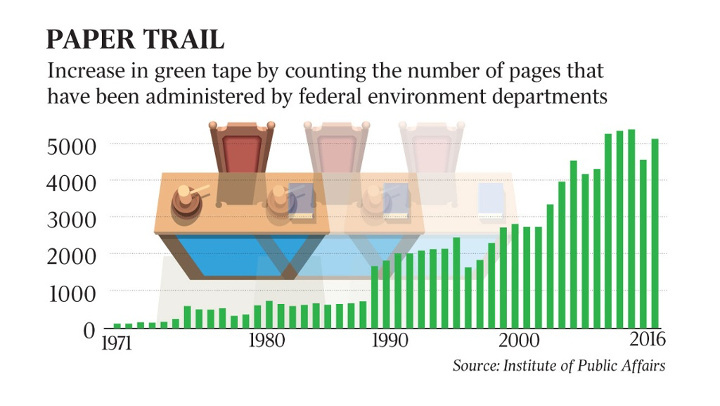 Australian politicians have bowed down to the (vocal) minority activist green mob, forcing it to follow and implement feel-good, overreaching green regulations, and economically destructive schemes and scams (wind / solar). However, in my opinion, the majority ACTIVIST media is to blame – The Left wing, virtue-signalling MSM gunning for the “save the planet” candidate over the reasoned and rational thinker. Those who dare convey reasoned thought, instantly and lovingly enshrined in print as a science “denier”. Forever condemned. However, those isolated, smeared and slimed (silent majority) “deniers” aren’t to be taken for granted or for fools. Greens have scored a major coup in Australia, as their PR campaign has apparently just convinced all four of the big Australian banks to close the door to lending to major new coal projects. My question – who in their right mind would invest in such a failed business environment? The controversial Adani coal mine in Queensland is unlikely to get funding from Australia’s big four banks after the second biggest, Westpac, tightened its funding criteria. Westpac released its third Climate Change Action Plan today, which has a $10 billion target for lending to climate change solutions by 2020 and $25 billion by 2030. But the detail in the document that has unleashed a political storm is the tightened criteria for funding coal mines. Apparently, everyone else should cut emissions but them – yes, hypocrites indeed. Preaching to a false-god, blackmailed by hysteria. Here in Australia, Westpac Bank, freaked by green activists, says it won’t invest in mines in new coal regions to save the world from global warming. WESTPAC Bank … a worse greenhouse gas polluter than some of Australia’s biggest manufacturers. Official figures reported to the federal Clean Energy Regulator show carbon dioxide emissions related to the bank’s operations totalled 148,723 tonnes in 2015-16, equivalent to 29,000 cars. Most of it is indirect pollution from energy used to run massive data centres. That is the highest level of any of the country’s big four banks – 45 per cent more than the Commonwealth. The green glob has been spending time and money indoctrinating young television meteorologists. The proof comes from a meteorologist profiled by Bloomberg named Amber Sullivan who is the chief meteorologist at ABC 15 in Phoenix, Arizona. Arizona is a notoriously hot state and has made national news for the triple degree temperatures at has reached at times. The air during the spring when it starts warming is dry but before spring and after winter, the state enjoys beautiful, warm, sunny temperatures. Sullins got exposed to climate science four years ago when she attended a workshop for broadcasters at University of Arizona. While there she watched a lecture by Benjamin Santer, an atmospheric scientist at Lawrence Livermore National Laboratory who also happens to be a climate alarmist. Fishermen often discovered how easy it was to open a can of bait worms, and how difficult it was to close them. 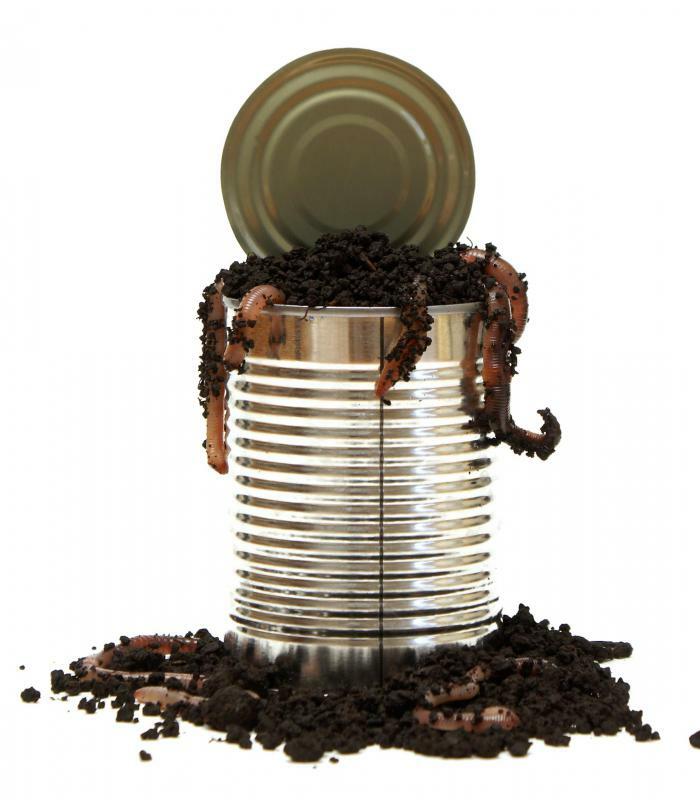 Once the worms discovered an opportunity to escape, it became nearly impossible to keep them contained. Some experts say the metaphor is a modern extension of Pandora’s Box. In a previous post NYT Readers Face Diversity I provided a background for New York Times newest columnist Bret Stephens, with emphasis on his climate change commentary. Now his first column published in NYT appears Climate of Complete Certainty, an invitation to examine the facts about climate change. Excerpts below. We live in a world in which data convey authority. But authority has a way of descending to certitude, and certitude begets hubris. From Robert McNamara to Lehman Brothers to Stronger Together, cautionary tales abound. In short, she is a globalist insider who sees the green hysteria as a viable way to control people and their lifestyles. And now, the entire world suffers as “Climate Change” aka “Global Warming” aka etc etc becomes the new and improved environmental hysteria designed to radically change economies and curtail people’s freedoms. Also in 1970, Paul Ehrlich, a Stanford University biologist and best-selling author of “The Population Bomb,” declared that the world’s population would soon outstrip food supplies.